You might have been living it up in your 20s, and maybe even a fair bit of your 30s, but now that you’re in your 40s, it’s time to settle down and be responsible – we’re talking about your food and diet, of course! Now that you’ve reached middle age, your body can’t handle as much junk food, and it requires much more nutrition to help your stay fit, focused, and fabulous! To help you make the best choices for your diet, we’ve got a list of 20 superfoods that people over 40 should be eating more of. Check it out! 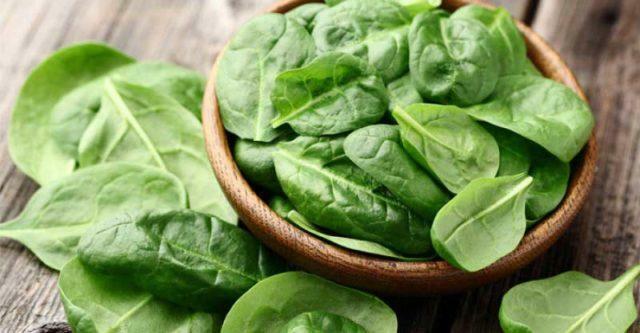 A good dose of spinach is good for numerous aspects of your life, from promoting skin health and enhancing your immune system to giving you better eyesight, strong bones, and even preventing illnesses like cancer, diabetes, and heart disease! All of this thanks to the various properties it contains such as a number of antioxidants, vitamins A, C, and K, as well as magnesium, manganese, zinc, and selenium. Spinach is safe to eat raw, but cooking or steaming it will increase its nutritional value.